When you drive a vehicle, you have thousands of moving parts working hard to make sure you can get where you need to go every day. These parts need to be maintained and checked on a regular basis in order to make sure you can continue to have the drive you’re looking for and the reliability that makes sense for you on the road. With this in mind, you need to find the right place to enjoy the Mitsubishi service and parts in the Gretna, LA area to make it easier for you to stay on the road. The service department team at Ray Brandt Mitsubishi offer you everything you’re looking for to make sure you can have the drive you want and keep your vehicle maintained and ready to ride. This team is specially trained and certified to handle the maintenance and service you need for your vehicle. Bring your Mitsubishi to this team and let them get to work to make sure you stay on your service schedule and have the quality drive you’re looking for when you make your daily drive. 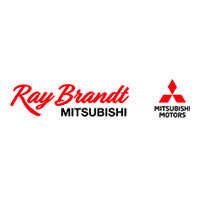 Whether you need to take advantage of the Mitsubishi service offered at Ray Brandt or you’re looking for this team to offer you the parts needed to make your vehicle whole after a collision, you’ll enjoy what this team has to offer you. As the experts in the Gretna, LA area, you’ll be glad to have a team of certified and experienced service technicians that can take care of your vehicle for you. Let this team get to work to make sure you can keep on driving the way you want every day. Service and regular maintenance are part of owning a vehicle. It’s important that you make sure your vehicle can perform the way you need to every day. It’s also important to stick to the scheduled maintenance program set forth by your owner’s manual in order to make sure your warranty remains active. The team at this dealership can help you stay on this schedule with discounts and packages that make the service appointments more affordable for you when you see this team and have them perform the work you need to have done for your Mitsubishi. Start with an online service appointment on the Ray Brandt Mitsubishi website and then visit this dealership service team to have your vehicle serviced. These experts will offer you the service and parts you need to make sure you can continue to drive on the roads in Gretna, LA with confidence. Sit comfortably in the waiting area while this team takes care of your vehicle so that you can enjoy a relaxed appointment with Ray Brandt. Once done, you can get behind the wheel and enjoy the ride on the roads once again.